Considering a strategic Recruitment Process Outsourcing solution? While economic uncertainty can stifle progressive strategic initiatives, the current climate is an ideal time to approach your organization’s decision-makers about the benefits of partnering with an external recruitment provider. 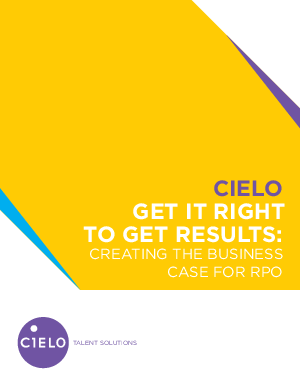 The business case for Recruitment Process Outsourcing (RPO) can be challenging to navigate on your own. Learn where to start and how to answer the tough questions with these industry trends, opportunities and strategic recommendations.